It’s not often that you hear Aboyne and Monaco in the same sentence, but the 2015 UK Mountain Soaring Championship witnessed speeds in excess of Monaco’s Formula One Grand Prix. See the Dec/Jan 16 issue of S&G for the full story. You can also read about setting yourself a new challenge, see the annual round-up of results and ratings, and continue to develop your cross-country skills with top tips on recognising and exploiting streets. The UK Mountain Soaring Championship is described as the perfect mix of camaraderie and competitiveness. 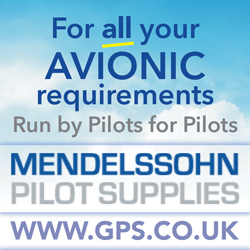 Flights during the 2015 comp were labelled “awesome” or “unbelievable” and included what may be the fastest competition task flown in the UK. After 260km, John Williams crossed the finish line on Day 3 with an average speed of 173km/h (107mph). Nico Rosberg completed 260km of the 2015 Formula One Monaco Grand Prix at an average speed of only 143km/h! If you’re looking to increase your average cross-country speed and tackle greater task distances, don’t miss this issue’s Ask the Coach feature. Tony Cronshaw asks coach Kevin Atkinson for top tips on recognising and exploiting streets to help improve your performance. People who tend to challenge themselves find they don’t get bored, as they are constantly learning and improving. Cairngorm GC is inviting other pilots to embrace the challenge of Munro bagging by glider. The Munros are mountains in Scotland over 3,000ft asl and there are more than 280 of them. Cairngorm now has an annual competition for the most Munros in a season and some of the club’s top ‘baggers’ share useful advice on how to succeed in this challenge. Warren Kay was a life-long opponent of gliding with engines. Now he considers the FES (Front Electric Sustainer) the most useful soaring invention since the variometer, following a flight in the LAK 17b FES-equipped demonstrator at Husbands Bosworth. He says that one flight is all it took to convince him that if he had an FES-equipped sailplane, he would definitely fly more. Also in this issue: David Innes flies Penelope Keith for TV series Hidden Villages. Entrants report on an outstanding level of support at the Junior Championships. Chris Lewis continues the tale of his mountain landout with a long and challenging retrieve. 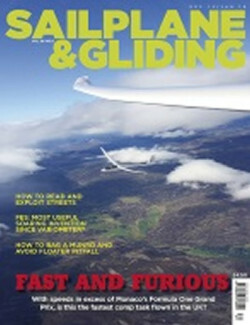 Robin May reports on the London GC exped to Llanbedr in a Gliding Gallery Special. Chris Cooper reveals what the RAF was doing at Burn airfield. Allan Barnes extols the virtues of winter flying in Australia. There are four pages of results from BGA-rated UK competitions, plus the announcement of the BGA provisional ratings list. BGA Development Officer Alison Randle examines the themes of the BGA club management conference that took place as the Dec/Jan issue of S&G went to press. There’s a round-up of vintage gliding events, including the Camphill Vintage Rally, Lasham Vintage Task Week and Sutton Bank Slingsby Rally. Plus there are many more of your stunning images in the Gallery pages. Tony Cronshaw asks coach Kevin Atkinson about the physical structure of streeting. Why Warren Kay, a life-long opponent of gliding with engines, considers FES the most useful soaring invention since the variometer. David Innes describes how to become a flying TV star (or musings on a minor supporting role in a tourism TV programme, as the airborne taxi-driver). Bag yourself a Munro or two! Planning a new challenge for next year? Why not bag some Munros? Bill Longstaffexplains Cairngorm GC’s tradition, with advice from the club’s top ‘baggers’. The level of support offered to those taking part in the Junior Championships is outstanding, as three happy entrants report. In the second part of Chris Lewis’ mountain landout tale, he recalls how the saga continued with a long and challenging retrieve. Chris Cooper reports how Burn airfield was recently used by the RAF as part of a tactical exercise. With speeds in excess of Monaco’s Formula One Grand Prix (and possibly the fastest competition task flown in the UK), this year’s Mountain Soaring Championships offered challenging flights over stunning scenery, reports Charlie Jordan. Ex-UK pilot Allan Barnes extols the virtues of winter flying in Australia. That’s winter Down Under, not in the UK. Four pages of BGA-rated UK competition results and the provisional 2015 ratings list. 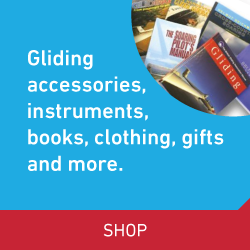 BGA news; your letters; Gliding Gallery; Gliding Gallery Llanbedr Special; Club Gallery; Club Focus – Seahawk; club news; obituaries; BGA badges; incident and accident summaries; AAIB report.